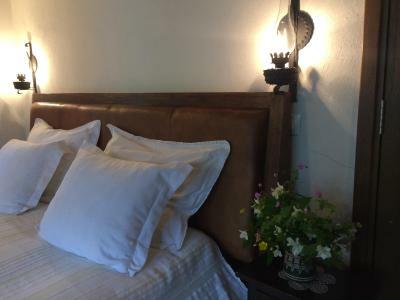 Lock in a great price for Stefanina Guesthouse – rated 9 by recent guests! 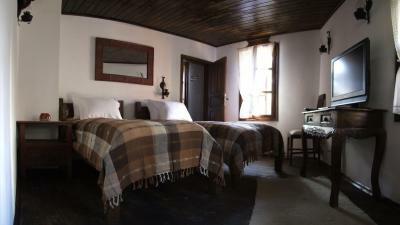 Traditional decorated rooms, very cosy with wooden floors. The bed vas very comfortable. The rooms, the common space, the garden all look great. We stayed just one night but we want to come back. The house has a really nice yard and a great view, and the lady who owns the house is friendly. 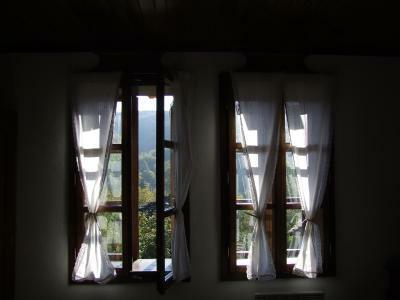 This was self catering accommodation. 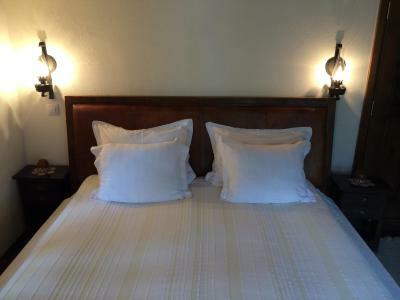 The room was clean and the bed very comfortable and our room had excellent views. The kitchen was well equipped and there was a big dining table and plenty of seating inside and some seating outside. 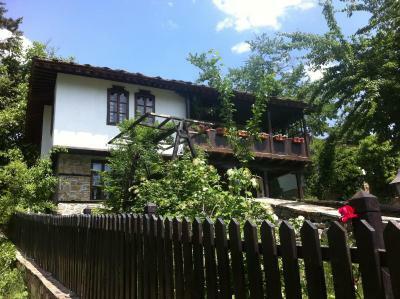 Very well kept traditional house, nice wooden interior, access to the garden. Very peaceful surrounding. You need to slightly climb up from the entrance to the village. 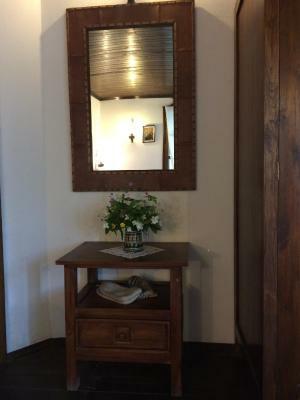 The guest house is lovely! 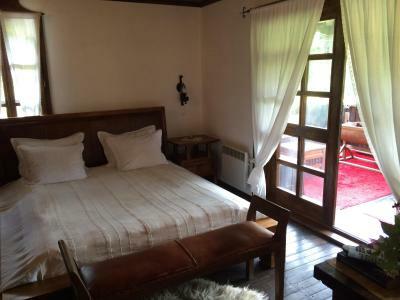 The rooms are beautiful, with extremely stylish furnishings with wood and leather. Everywhere is very clean and well maintained, including the garden! Just three minutes' walk from the center with the taverns. 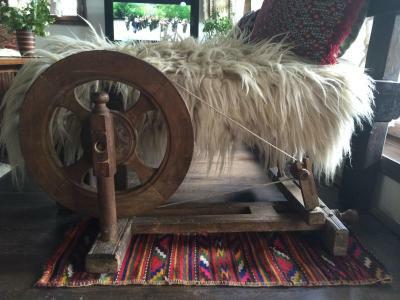 I recommend relaxing, cozy, quiet and beautiful! The host! Amazing lady, very friendly, understanding and available! 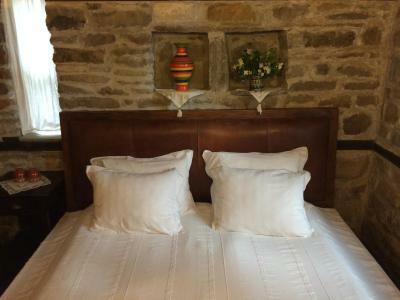 Very clean, nice mattress, nice kitchen, gorgeous garden. 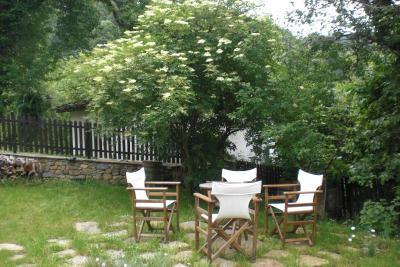 Cosy atmosphere, location, amenities, view from the terrace, Village itself. 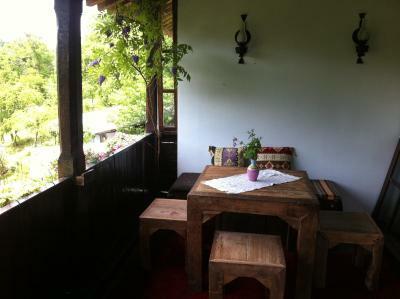 So far my best place in Bozhentsi. 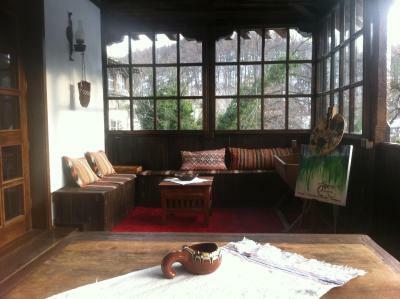 Traditional Bulgarian spirit, yet with all modern comfort. 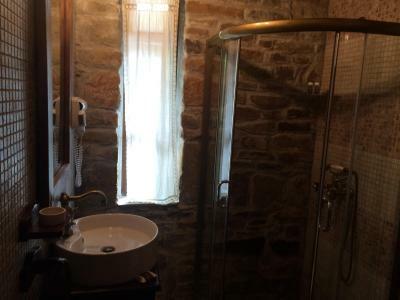 Owned by an architect who kept the soul of the house yet renovating perfectly. 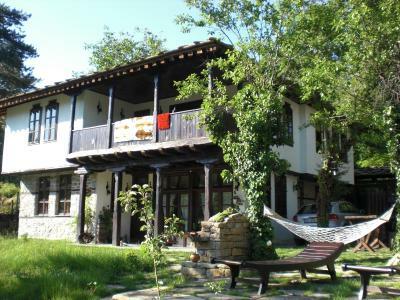 Great kitchen & living room, clean rooms, very good bathrooms (usually tricky in Bozhentsi). Although area beyomd the rooms is shared, the few rooms give a family cosy feeling, not like a hotel, and is not crowded. 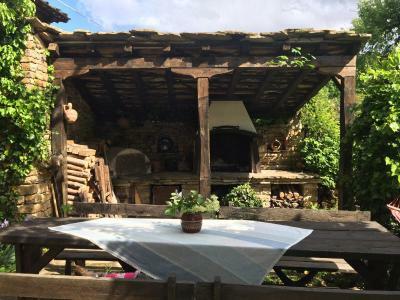 Quiet & relaxing garden- you literally hear the birds signing loudly; with several areas to sit & eat, sunbathe, barbecue for those who want to cook. Warm greetings and support all though from Maria! We ordered delicious breakfast and they brought it to us from Kapitanova mehana each day. 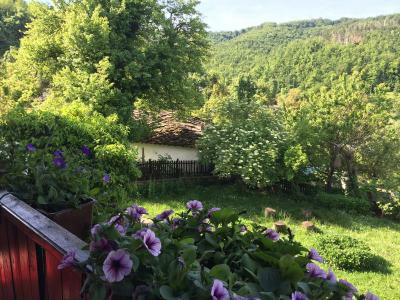 You can walk around Bozhensti, nearby Tryavna or on the old Roman way to Iztochnik village through the forest; go with the car to the monasteries & Veliko Tarnovo, Shipka, Etara in Gabrovo. 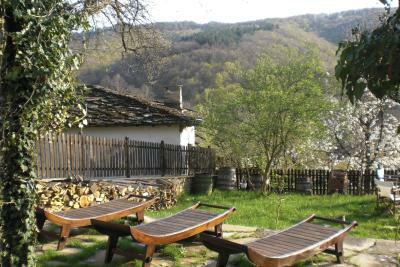 Or as Bozhentsi is still not spoiled by civilization, simply go back in time and relax. I loved it! 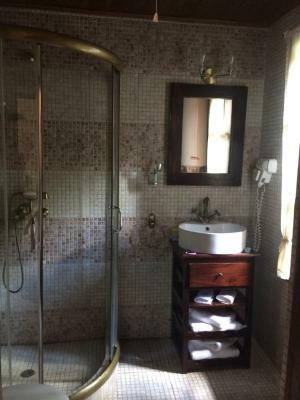 Stefanina Guesthouse This rating is a reflection of how the property compares to the industry standard when it comes to price, facilities and services available. It's based on a self-evaluation by the property. Use this rating to help choose your stay! 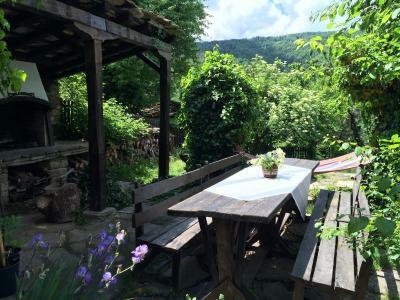 One of our top picks in Bozhentsi.Surrounded by greenery, Stefanina Guest house is located in the architectural reserve of Bozhentsi. 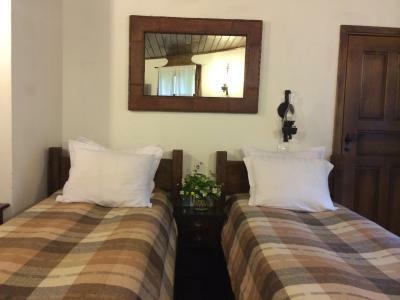 It offers rooms with free Wi-Fi in a traditional-style building. Free private parking is available on site. 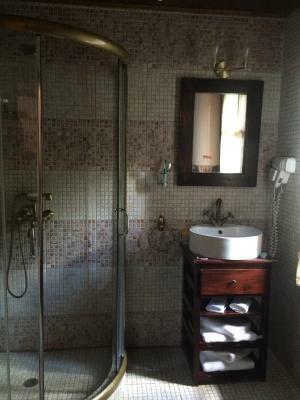 All rooms come with an LCD satellite TV and a bathroom with a shower, a hairdryer and amenities. 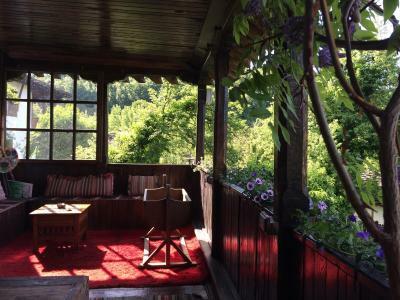 Some rooms also have a terrace. Guests can relax in the sauna or in front of the fireplace at the common lounge. A shared-use kitchen with a fridge and a dishwasher is provided on site. 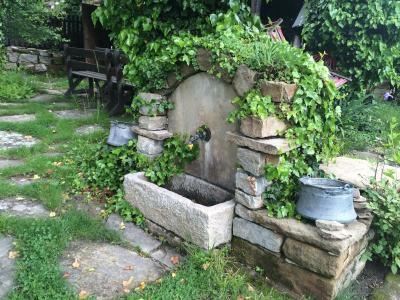 At guests' disposal, there are coffee, tea, fruits and bottles of spring water. 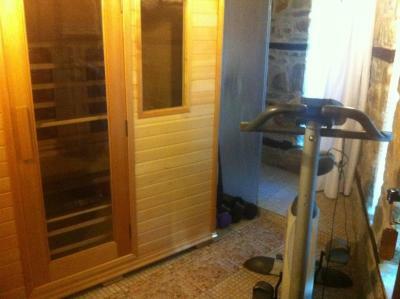 Stefanina Guest house features a small gym and a garden with BBQ facilities and a terrace. A playground ensures the children’s entertainment. Horse riding and other activities can be organized on request. 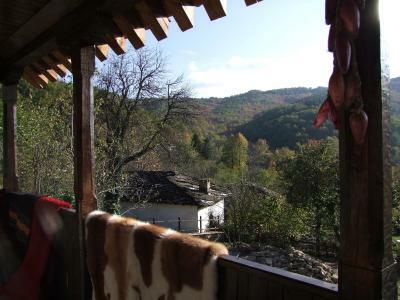 The Etar Architectural-Ethnographic Complex and the Sokolsky Monastery can be found in 14 mi. The closest restaurants and shops are a 1-minute walk away. 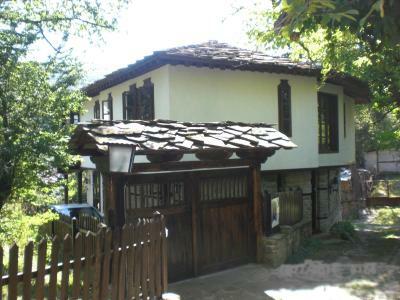 Gabrovo can be reached within 15 minutes by car and Veliko Tarnovo is 22 mi from the guest house. A 20-minute drive will take you to Bacho Kiro Cave and the Dryanovsky Monastery. The historical peak Shipka can be reached in 22 mi. 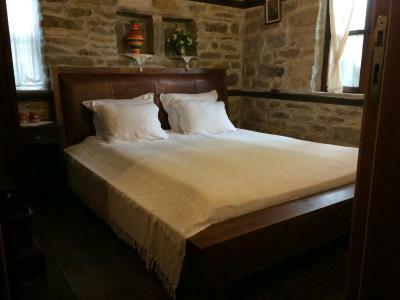 This property is also rated for the best value in Bozhentsi! Guests are getting more for their money when compared to other properties in this city. 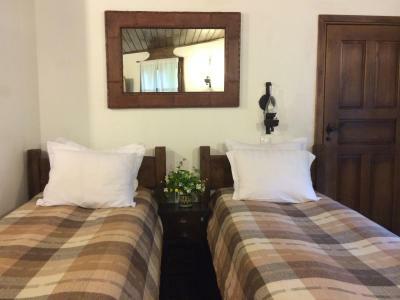 When would you like to stay at Stefanina Guesthouse? Room with a seating area, an LCD satellite TV and free Wi-Fi. 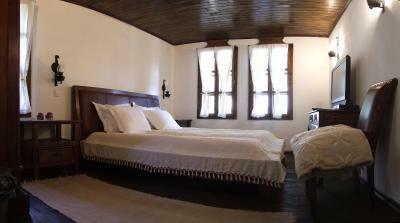 The room is equipped with antique furniture and features a bathroom with a shower and amenities. 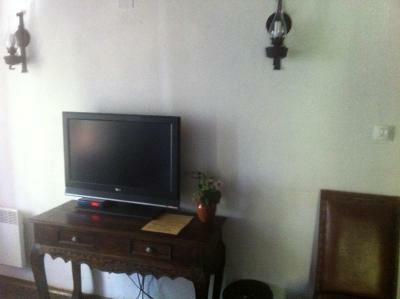 Very spacious room with a seating area, an LCD satellite TV and free Wi-Fi. 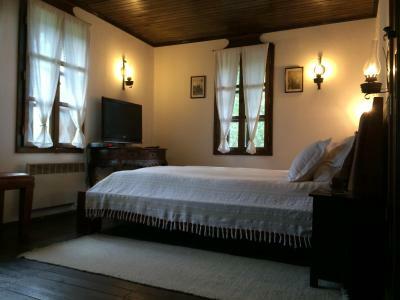 The room is equipped with antique furniture and features a bathroom with a shower and amenities. This room comes with a terrace. 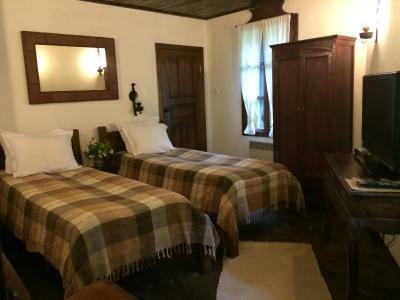 No extra beds are available in this room type. Please note that 1 child up to 3 years can sleep in the parents' bed free of charge. 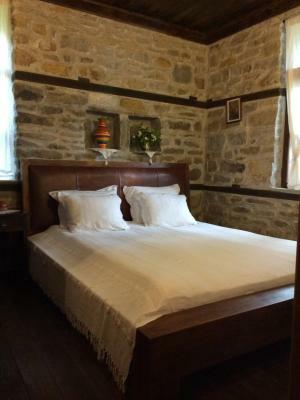 In this wonderful place,each guest will meet the ancient history & coziness atm.of the old bulgarian house.Stef.house was built and designed by me,and I've worked an architect to create all the comforts of a modern hotel,combined with the old style! House Rules Stefanina Guesthouse takes special requests – add in the next step! One other family staying at the same time monoplolised the use of the kitchen and especially the fridge! We arrived before check in time and could not get into the Guest house there is nothing nearby and not even a seat by the door where we could wait until the lady came at 2pm. When she did come she was very helpful and looked after the house very well. The garden areas could do with some attention to be more comfortable. 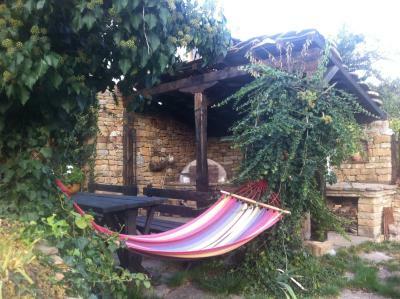 The best place to stay in the village. We had a floor room without view. The noise travels easy through walls and doors and additionally we shared the place with a family with a small child. Bed too big for the room. Could not get out of bed on one side. No mosquito nets. We made the reservation one month in advance and asked for a room with a terrace. The staff called us on the check-in day and told us that there is only one room with a balcony but it is already reserved for other people. Additionaly, we stayed for 3 nights but the room was not cleaned even once - the staff didn't even change the towels for the entire period of our stay. wonderful surrounding, garden, and room! 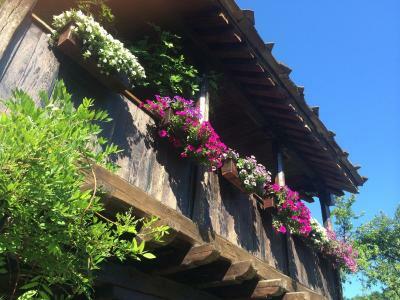 beautiful village, great host, and a traditional very well-kept house! I loved this place. 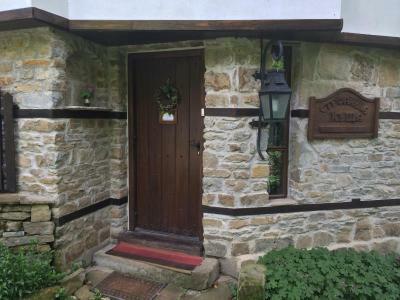 However, some travellers might not want to leave their car in the car park and trek up a bumpy cobbled track to get to the house. 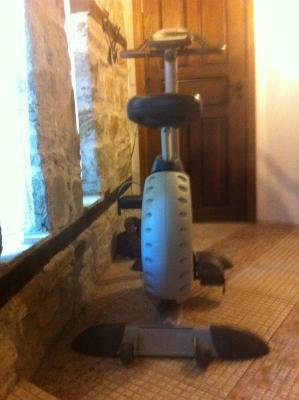 Not good for the expensive suitcase and definitely not suitable for the elderly. There is no breakfast, so it is best to take some with you as there are no shops in the village. 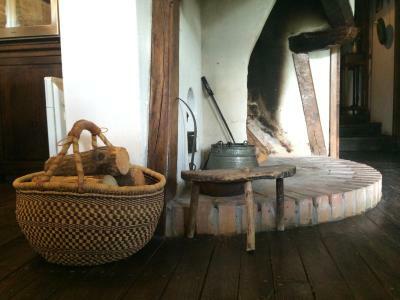 I did not realise until I arrived that this guesthouse is in a kind of museum village. 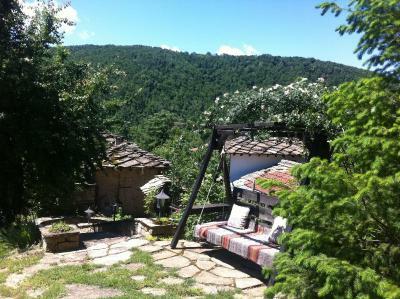 It is an absolutely idyllic location, surrounded by mountains with a fabulous quality of air. 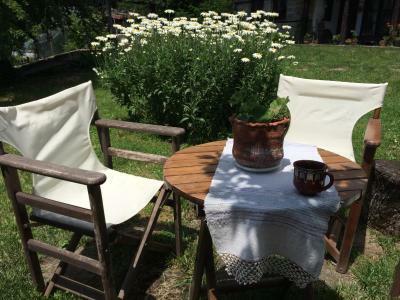 The guesthouse is beautifully appointed and the garden is a delight with several different seating areas and garden swings for grown ups. 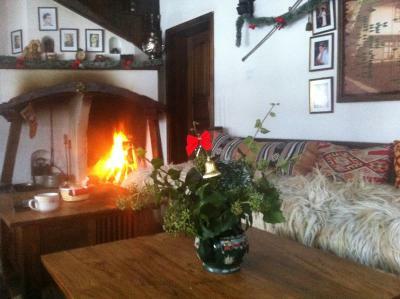 There is a shared lounge, dining room and kitchen, although no shops in the village to buy food from. 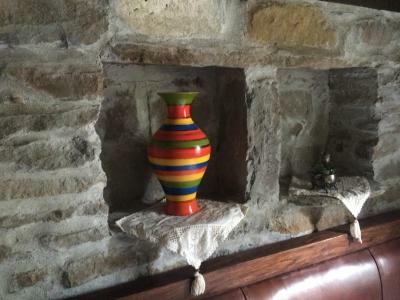 The house is looked after by a local lady who came very quickly when I called. There is tea and coffee in the house and all sorts of spices if you fancy a spot of cooking. Also plenty of restaurants in the museumvillage as it is a 'must visit' place.